Welcome to Gold Class. Mrs McKinley thoroughly enjoys teaching the Gold Class superstars! 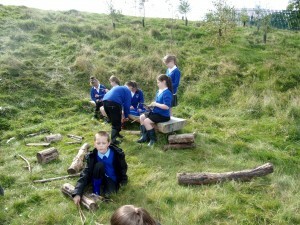 The conscientious learners in Gold Class endeavour to be creative and inquisitive learners. Miss Easton, the teaching assistant in Year 5, strives to challenge and support the children to ensure they achieve their potential in all lessons. Welcome to Jade Class. The hard-working pupils in Jolly Jade Class impress Miss Barnard and Miss Easton every day as they work hard to shine in all areas of the curriculum.